It’s been a busy few months lately with our engagement, lots of visitors, celebrations & travels and so we wanted to recap on the exciting events & adventures of the last few months! The most exciting news for us is as most of you know, that we are now engaged!! Dan popped the question & I was not expecting it one bit (but of course said YES) and we are both so incredible happy and I cannot WAIT to marry my best friend! We probably won’t be getting married for at least two years (though you wouldn’t think it looking at my Bridal Pinterest Boards… Oops)! We also have finally submitted Dan’s Visa which is a huge weight off both of our shoulders. It literally was like a second job for both of us for a few months to get our statements done, statements off friends and family and get all our evidence and paperwork together. I know though that those long hours, tears (from me), patience (from Dan) and hard work will pay off though. The last few months our travels have mostly been in the UK and we have been loving the summer sunshine & exploring all the countryside around our gorgeous village! I’ve learnt the hard way not to laugh at the English when they describe 25°C plus as a “Heat Wave” when I got one of the worst sunburns I have had in years! Our bigger travels have taken us to Ireland, the Isle of Wight and Cornwall, all of which we absolutely loved. We’ve also had lovely visits from my Mum & Dad who made their longest ever flight to come and visit us from Australia. They spent three weeks in the UK & France and spent their time seeing as much as they could and also spending their weekends on adventures with us! A few weeks later my best friend Nina came to visit which was so nice to have a gal pal from home on my side of the world! 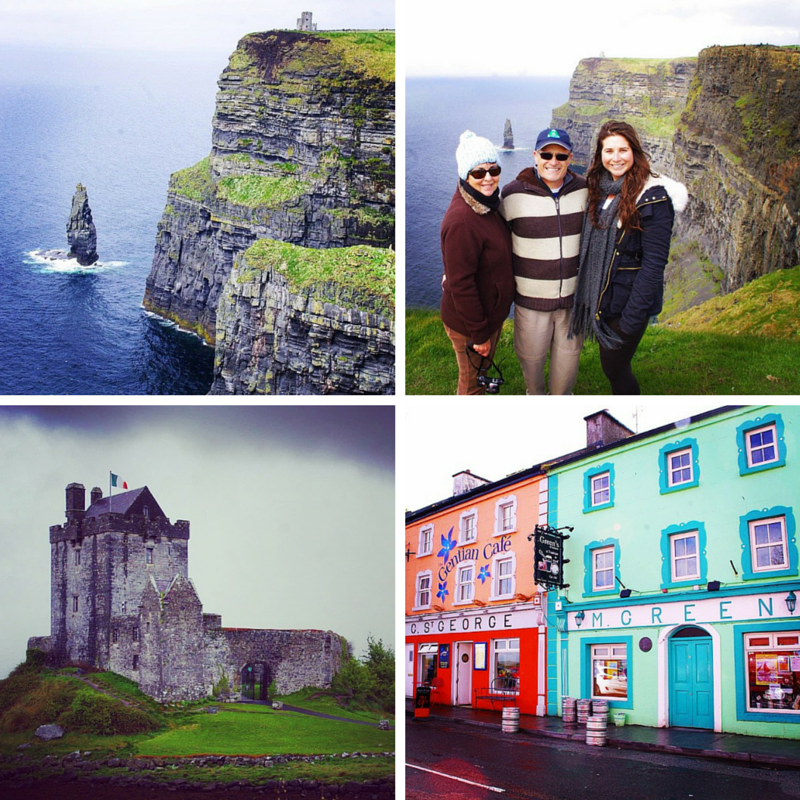 We visited Ireland with my mum & dad and explored Dublin, Galway and the stunning West Coast! We all fell in love with Ireland and our favourite part was road tripping the Wild Atlantic Way and visiting the breathtaking Cliffs of Moher, which had been on my bucket list forever! Dan surprised me with a trip to the stunning Isle of Wight for a long weekend away. I was blown away by this tiny island off the South of England! I could not believe we were in England, the island was so beautiful & the beaches stunning! We spent a whole weekend exploring the beaches, national parks, wineries and countryside. 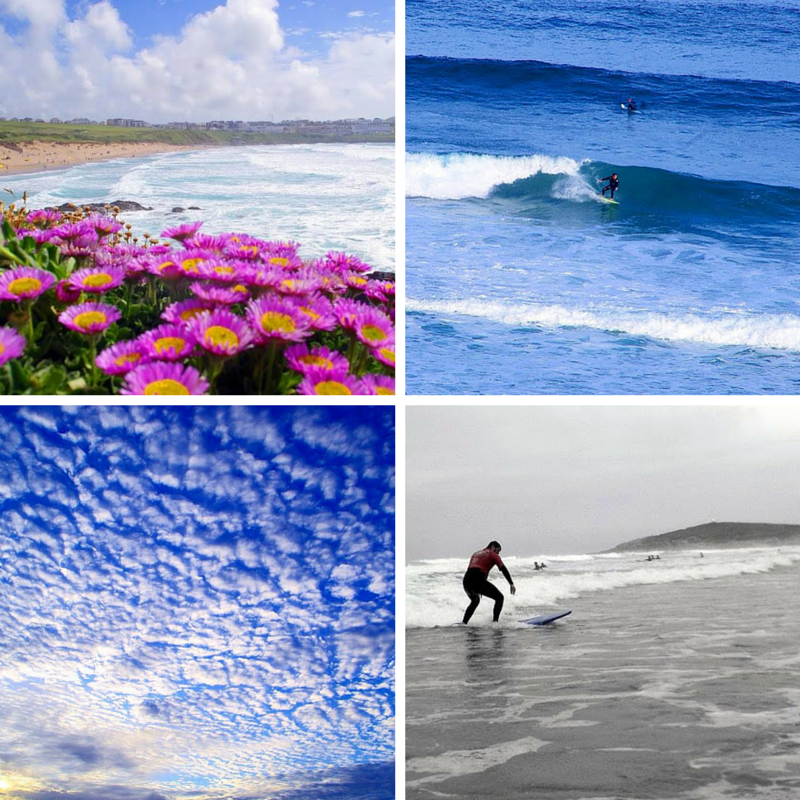 We fell in love with Cornwall when we visited in April and decided to go back during summer when the weather was more favourable (which it was)! 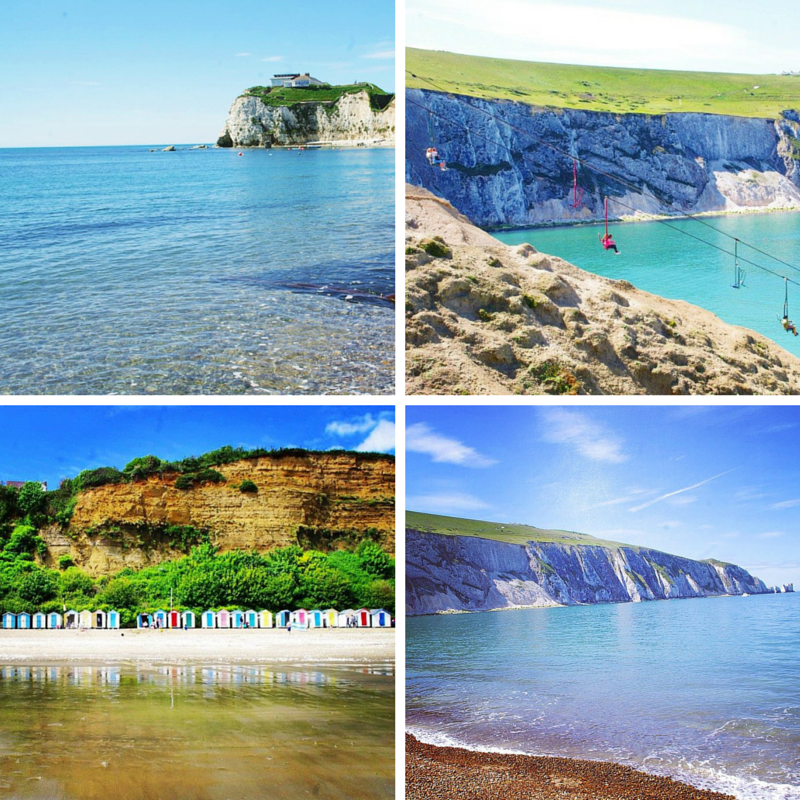 We spent our days enjoying our Yurt and living in luxury at the Headland Hotel, relaxing on the beach, trying to Surf, sampling the local food & cider and just loving being on the coast! We’ve stayed in some incredible places the past few months with quite a variety of accommodation types though all luxurious & oh so perfect in their own ways! We had our first ever Glamping Experience in Cornwall staying in a Yurt with Country View Cottages, which we absolutely LOVED and cannot wait to try more Glamping in the future! We were lucky enough to stay at the luxurious, beautiful Headland Hotel in Newquay, which has the most enviable location in Cornwall and is where Roald Dahl’s The Witches was filmed! We spent a night at the Mercure when we visited Salisbury which was a lovely, comfortable and enjoyable stay and was ideally located opposite the grounds of the famous Salibury Cathedral. 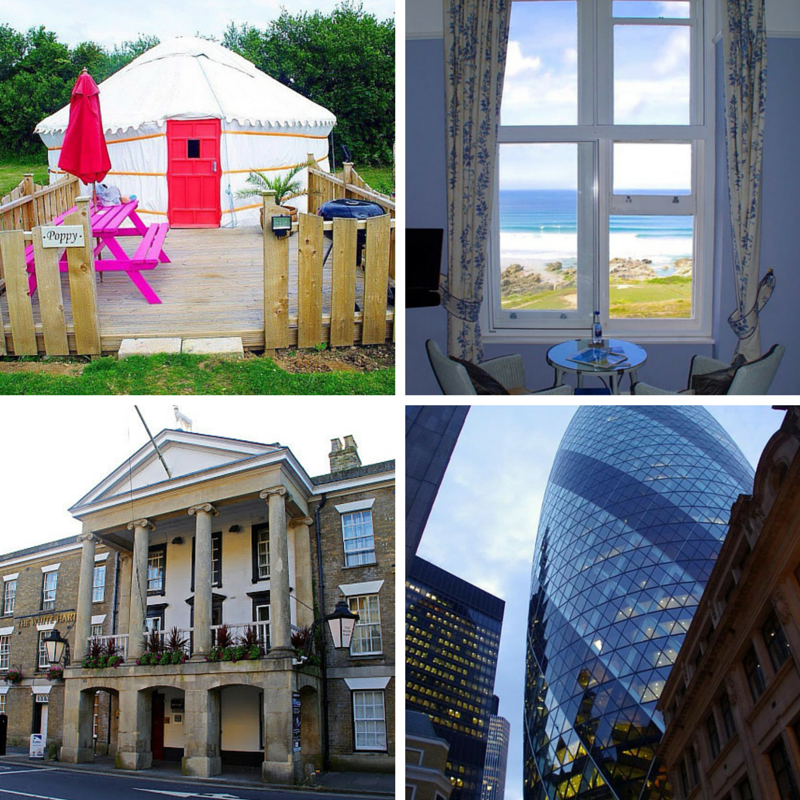 A luxury weekend at Go Native’s City Creechurch Apartments in London, located next to the iconic Gherkin building! We love Go Native and consider them to be our home away from home in London! 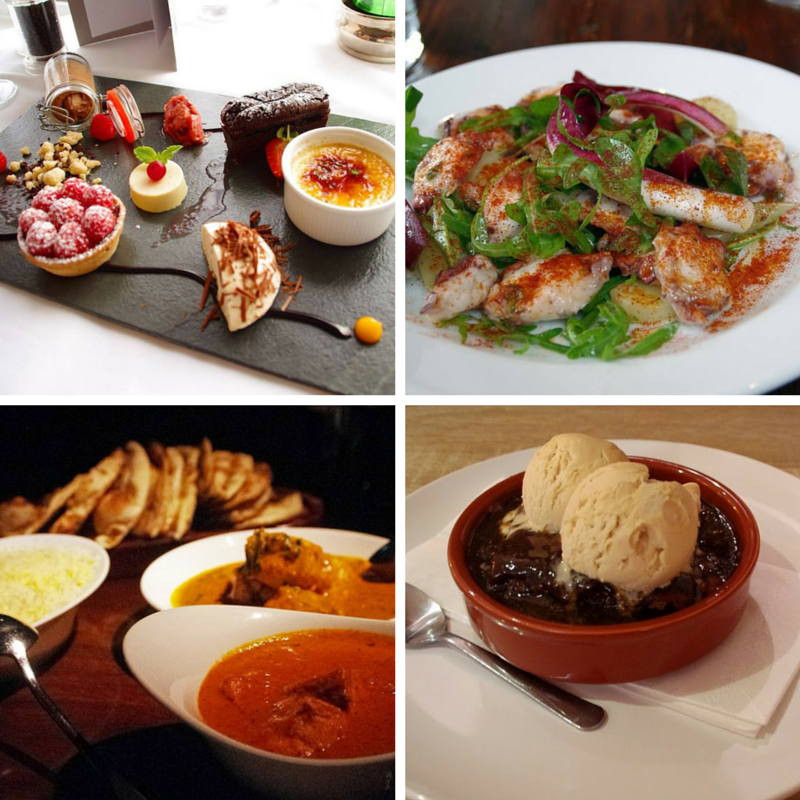 The last few months we’ve been lucky enough to dine at some fantastic restaurants in all the places we have visited (and both of us have tried a number of new foods we’d never before eaten, with surprisingly good results)! The Restaurant at The Headland Hotel in Cornwall where we had an evening of fine food, breathtaking views & dined in relaxed elegance. Antico Restaurant in London where I had the best Italian food I have ever eaten outside of Italy (& Bar 214 Bermondsey which is located below Antico & makes the most incredible cocktails)! Mint Leaf Restaurant in London where we ate some of the finest Indian food ever and tried our hand at a cocktail making class. Fogg’s of Ventnor on the Isle of Wight which proudly serves fresh, local produce that is cooked to perfection. The blog is going great at the moment, I feel like we are on a roll with publishing articles regularly and our readership is growing steadily! Our social media sites are also growing with Twitter reaching 3,000 followers and Instagram going from 700 to 2,100 in a few months! We’ve been interviewed by Travefy, TravelTheGlobe4Less & Love Puffin and featured as Dobe Globe‘s Traveller of the Day. We were also nominated for number Liebster Award’s and Sisterhood of the World Blogging Awards, as well as being named a Top Couple Travel Blog on the Internet by Nomad Revelations. Maaike from Travellous World: Gozo, Malta’s Little Sister Island. Angie from SilverSpoon London: 10 Reasons to go on Honeymoon to French Polynesia. Rob from 2 Travel Dads: Victoria, British Columbia: For a Day or a Week. Ayla from Mrs Aylas Adventures: My Top African Wildlife Experiences. This month I’ve been reading my usual favourite foodies & wanderlusters: SilverSpoon London, World of Wanderlust, Goats on the Road, Hippie In Heels and y Travel Blog. I’ve been loving following Polly from Follow Your Sunshine and her Italian honeymoon! It’s bringing back serious wanderlust for my Amalfi Coast trip last year! I’ve also loved Wanderlust Chloe‘s Croatia sailing posts which are making me way too excited for our trip NEXT YEAR lol. In exactly a month we’re flying to Australia! My younger brother Sam is marrying his lovely fiance Brooke at the Gold Coast & so we are heading back there for just under a month. It’s been 15 months since I have been home & I am missing it terribly! We have a pretty jam packed schedule whilst we are there and I want to introduce Dan to all my family & friends that he hasn’t met yet. We’ve got a lot planned in Sydney including climbing the Harbour Bridge and have some pretty luxurious stays lined up at Watson’s Bay Boutique Hotel & the Swissotel. 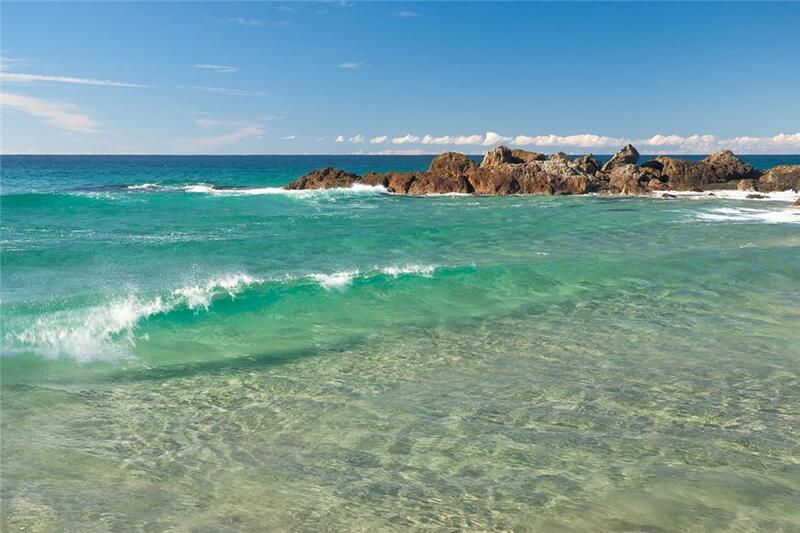 I’ll also be showing Dan all around my hometown, Port Macquarie where we’ll spend most of our days at the beach, exploring, dolphin spotting, whale watching & continuing to learn to surf! Obviously, we also have the wedding & we are planning on checking out the theme parks at the Gold Coast! Throw in a camping trip with all my best friends and I am pretty sure we are going to have an incredible time! This is where you’ll find us most of the time… but we will still be blogging so you’ll be able to follow all our Aussie adventures on here (& Instagram, Facebook & Twitter of course)! What exciting plans do you have for the next few months?